Company moves new executive into the role. Waymo continues testing its autonomous vehicles as it wages a court battle over the technology with Uber. 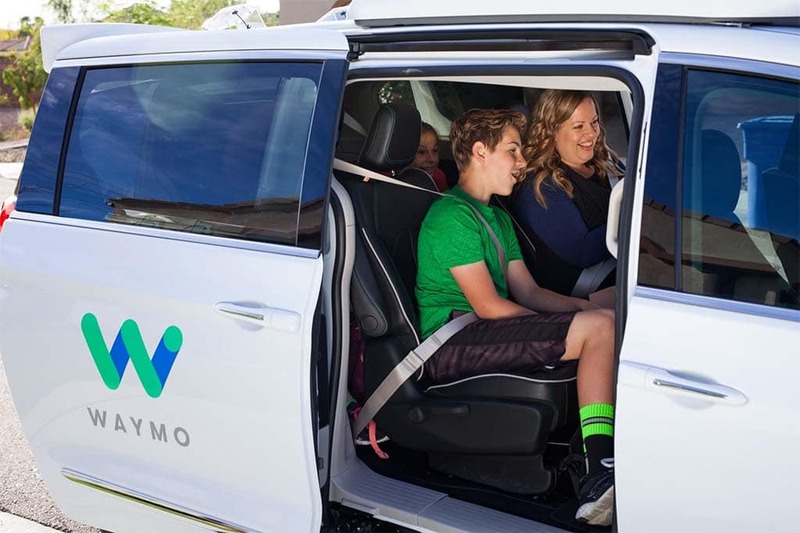 The man at the heart of autonomous vehicle company Waymo’s lawsuit against Uber, Anthony Levandowski, is going to give up some of his duties until the suit is settled. Levandowski is a former Waymo employee who that company alleges took more than 14,000 documents with him when he left to form his own company, which he sold to Uber. The company now forms the bulk of Uber’s Advanced Technologies Group. GM Chairman says she’s “150% committed” to automaker. GM CEO Mary Barra, who serves on an industry forum advising Trump, said she is "150% committed" to GM. 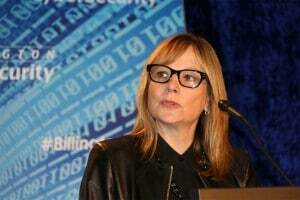 General Motors Chief Executive Officer Mary Barra flatly rejected the idea that she might be preparing to accept a job in the administration of President Donald Trump. Barra said during a conference call with analysts and journalists following the release of GM’s first quarter financial that she was “150 % committed” to her job at the auto giant where she has worked for the past 37 years, including the past three as CEO. 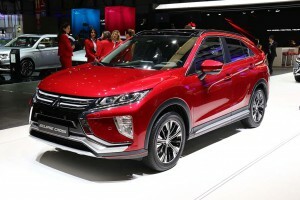 The Mitsubishi Eclipse Cross is expected to translate into a new production crossover. 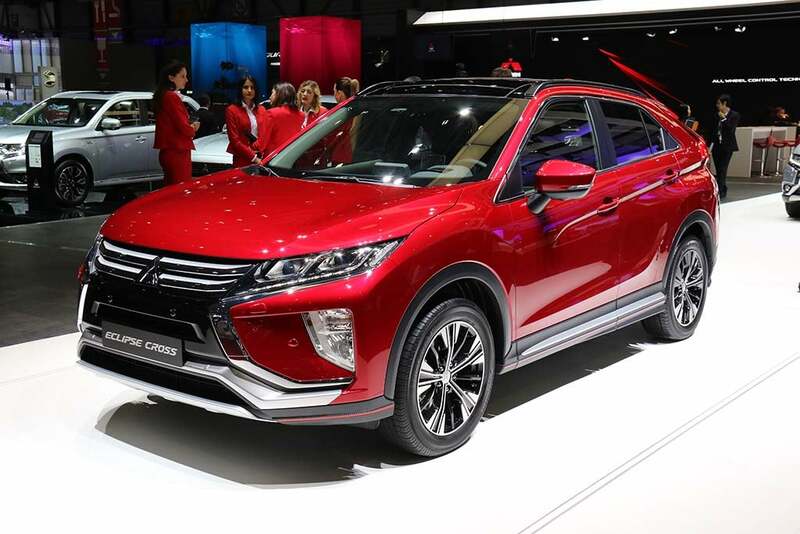 While Nissan has taken a controlling stake in long-troubled Mitsubishi and replaced most of the smaller maker’s key managers, don’t expect to see a full merger of the two companies. Instead, expect to see the two companies expand their ties – which is likely to mean more platform sharing, as well as the joint development and use of electrified powertrain technology. “Full merger is not on the table. We want Mitsubishi to reform itself,” said Carlos Ghosn, the Nissan Chairman who recently took on that same post at the smaller company. Sens Peters, Portman push for new register. 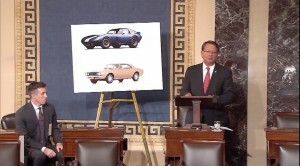 Sen. Gary Peters (D-Michigan) is co-sponsoring the National Historic Vehicles Register Act with Sen. Rob Portman (R-Ohio). Michigan and Ohio both have had a huge shared stake in the automobile industry for more than a century and U.S. 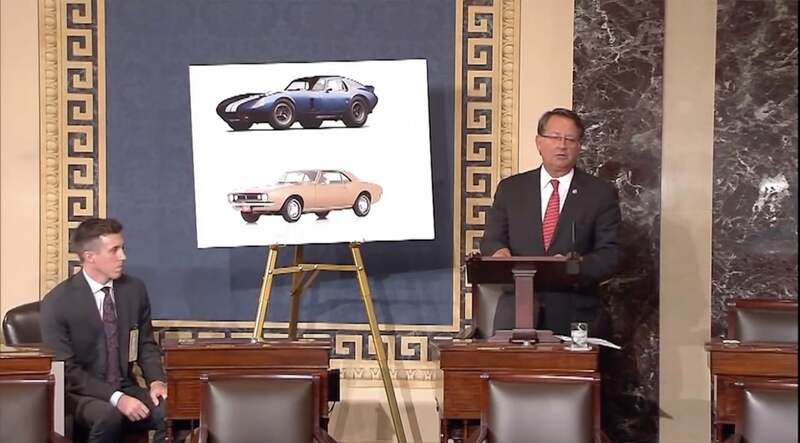 Senators Gary Peters (D-Michigan) and Rob Portman (R-Ohio) are teaming in a bi-partisan effort to create a national register to preserve the records of historic vehicles. 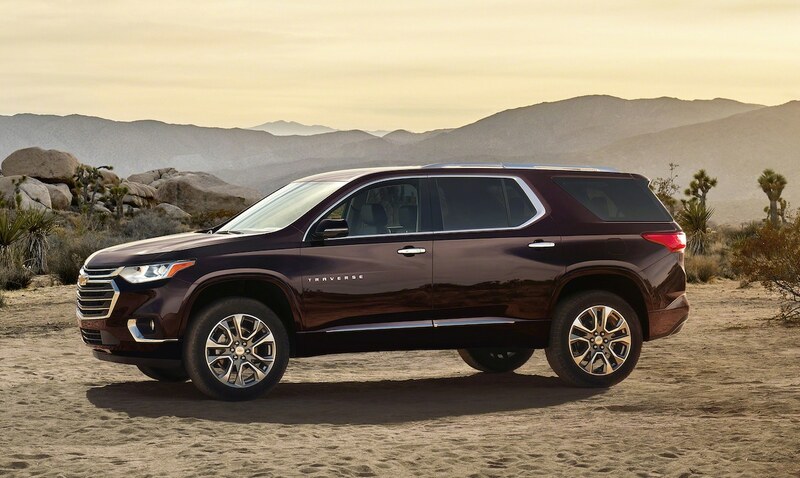 Pickups, SUVs and CUVs deliver. Keep on trucking: General Motors' light trucks helped the maker drive a big surge in earnings. 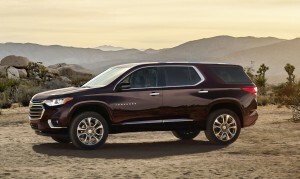 General Motors’ fleet of big pickups and SUVs helped the automaker overcome all obstacles for the first quarter of 2017, earnings rising 34% to handily top Wall Street’s expectations and set a new quarterly record. With a net income of $2.6 billion, GM was the last of the three Detroit-based automakers to report 1Q earnings and one of two to outperform market forecasts. Only Ford, which was off by 35%, posted a year-over-year decline – though it also benefited from booming demand for high-profit light trucks. Oil leak could damage differential, causing loss of control. Toyota is recalling 250,000 Tacomas worldwide due to an oil leak that could damage the truck's differential. 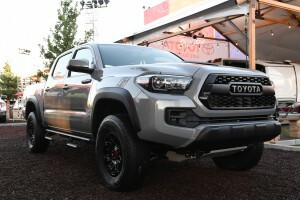 Toyota announced it will recall 228,000 Tacomas in the U.S. to fix an oil leak that could increase the risk of a crash. The action impacts 2016 and 2017 model-year pickups. The automaker said the truck could leak oil, potentially damaging the rear differential. If that occurs, there could be an increase “in noise and reduced propulsion.” If the problem is bad enough the differential could seize and the driver could lose control of the truck. Leaves after disagreement over handling of previous customers. 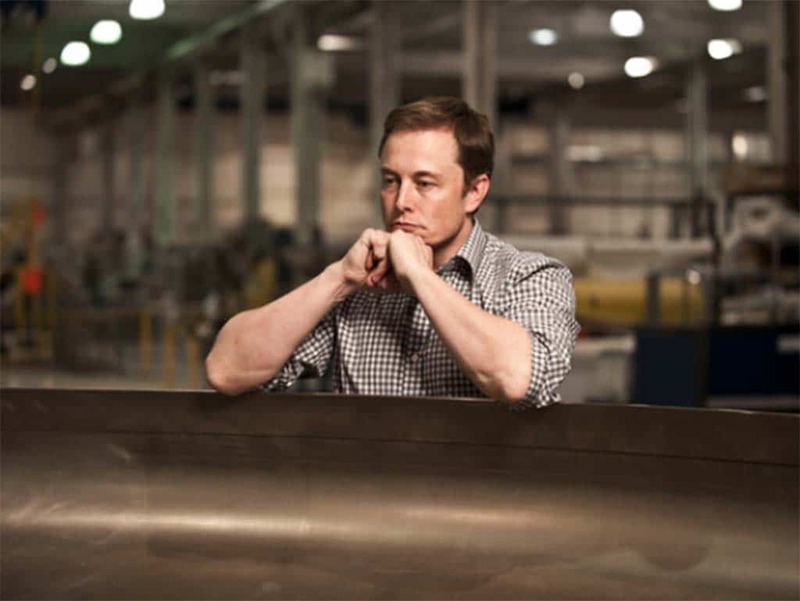 Tesla CEO Elon Musk lost another top executive, Klaus Grohmann, after the two disagreed about how to handle Grohmann's now former customers. As Tesla CEO Elon Musk continues to play whack-a-mole trying to eliminate potential roadblocks to getting the EV maker’s mainstream model, the Model 3, into production on schedule, there have been a few glitches. The most recent being departure of Klaus Grohmann, who left last month after a clash with Musk. Grohmann was leading the company’s efforts to improve the “machines that build the machines” at Tesla. Is FCA Ready to Sell Off Jeep and Ram? Marchionne's casual comment raises questions about carmaker’s future. The most powerful SUV on the market, the 707 hp Jeep Grand Cherokee Trackhawk. It was the sort of casual comment that many of those listening in on the Fiat Chrysler Automobiles earnings conference call just might have missed, but a single word from FCA Chief Executive Sergio Marchionne could signal some massive changes to come. For several years, the CEO has made no effort to hide his interest in finding a partner for the smallest of the Detroit-based automakers. 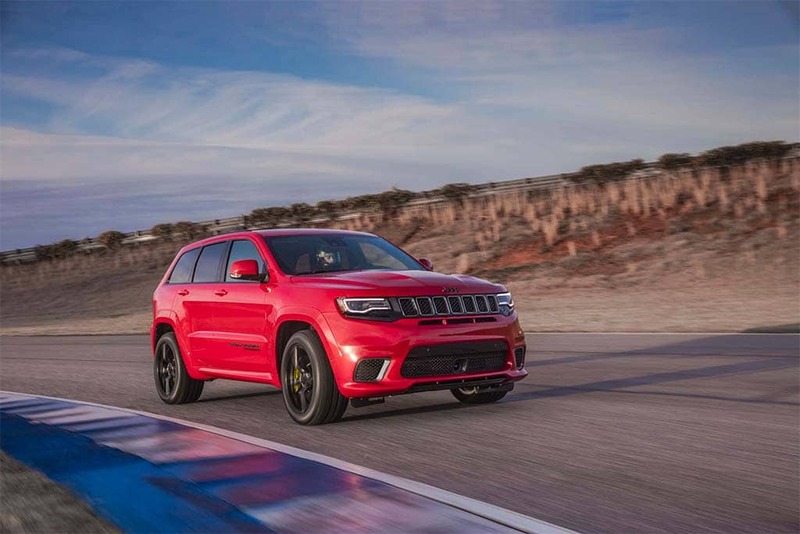 During a call with analysts and reporters to discuss FCA’s strong first-quarter earnings Marchionne was asked if his strategy might even include the idea of selling off the company’s crown jewels, the Jeep and Ram brands. “Yes,” Marchionne said, before moving on to other topics. And, curiously, those on the call let the subject drop without a single follow-up query. President Donald Trump gave himself an A for how he handled policy decisions earlier, but what grade is the auto industry giving him? With the three domestic automakers each reporting first-quarter earnings this week, President Donald Trump’s tax cut proposal – which would see the top corporate rate drop by more than half, to 15% – clearly resonates in the Motor City. 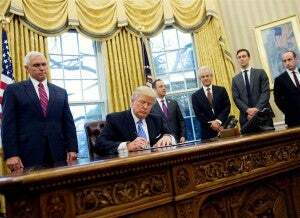 Under pressure from auto industry, Trump no longer plans to kill trade agreement. President Donald Trump is discovering that getting a new version of NAFTA negotiated will be more difficult than simply signing an executive order. Despite tangling with both Canada and Mexico in recent weeks, President Donald Trump appears to again be shifting direction over the North American Free Trade Agreement, the White House late Wednesday indicating it will no longer seek to eliminate NAFTA but rather find ways to make it more favorable to the U.S.
That shift may not play well with Trump loyalists who have roundly opposed free trade agreements and, in particular, sought a wall and tariffs to seal off Mexico. 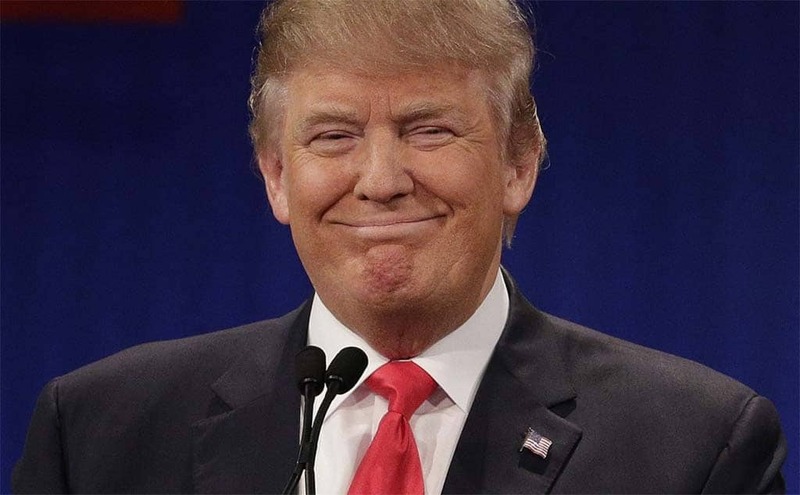 But it is receiving a warmer welcome in the business world, especially the auto industry, where North American borders have become completely porous in recent decades, raising the specter of major problems for manufacturers who routinely move parts and vehicles back-and-forth between the U.S., Mexico and Canada.